It is also possible to extend the blank bars area manually. Pressing END key on the keyboard will add 10 extra bars with each keystroke. Pressing HOME will reset the blank bars area back to default value from Preferences. 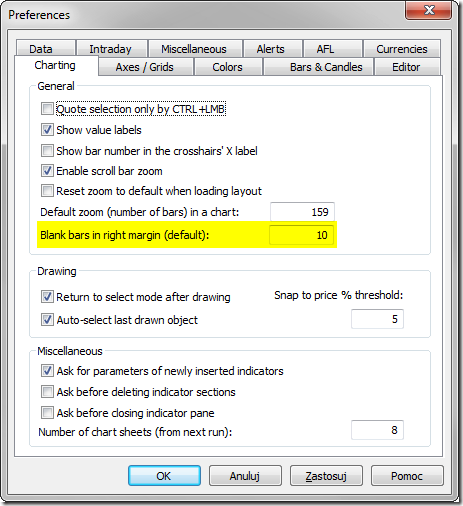 Number of bank bars can also be controlled using SetChartOptions() function from the code.